Penny Hofstadter: I take Bernadette. 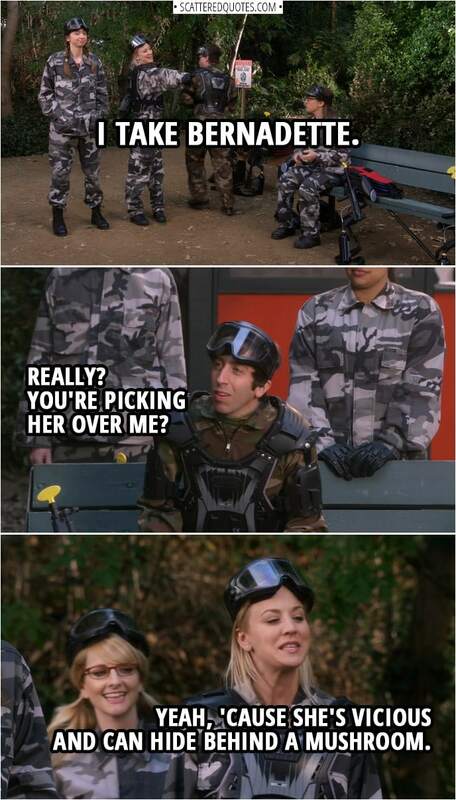 Howard Wolowitz: Really? You’re picking her over me? Penny Hofstadter: Yeah, ’cause she’s vicious and can hide behind a mushroom. 3.2.2019 She’s vicious and can hide behind a mushroom.